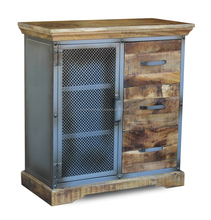 The Industrial Farmhouse’s designs combine upcycled wood and metal in ways that are at once rustic and refined. Each piece balances masculine structural elements with feminine shapes, contrasting metal and wood, old and new for a one-of-a-kind style. 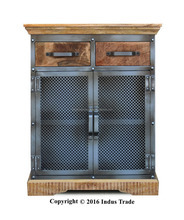 Enjoy the beauty and pride of heirloom, American-made reclaimed wood furniture custom built to your specifications. From countertops to tables to shelving, The Industrial Farmhouse can create a special hand-hewn look and feel that transforms any space.